The successful ITV series Scott & Bailey starring Suranne Jones and Lesley Sharp, returns with a new series of eight episodes, starting (I believe) on Monday 12th March on ITV1. A month later, on 12 April, Cath Staincliffe's prequel to series one, Dead to Me, is published by Corgi. A teenage girl is found, brutally murdered in her squalid flat. Her mother is devastated. She gave her child up to the care system, only to lose her again, and is convinced that the drug-pusher boyfriend is to blame. DC Rachel Bailey has dragged herself up from a deprived childhood and joined the Manchester Police. Rachel's boss thinks her new recruit has bags of raw talent but straight-laced DC Janet Scott, her reluctant partner, has doubts. 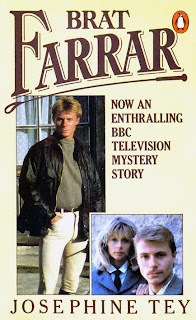 Cath Staincliffe is no stranger to tv work as she is the creator of the hugely successful Blue Murder series and also novelised two of the episodes. A criminal turned state witness informs Montalbano of an arms stash in a cave just outside Vigata. Also uncovered in the cave is a secret chamber where the bodies of two lovers, killed sometime in the 1940s, were buried in a bizarre ritual. An intrigued Montalbano must challenge the Mafia and deal with the arms cache before he can investigate this second find. and I have to confess that, even though it's a children's book, I couldn't make head nor tale of it so I was very pleased when this English language version came out. Precious and the Monkeys reveals how Precious (later Mma) Ramotse was inspired to become a detective and how the name of her business was devised, but it mainly details her first case as a young girl. "That is an African name, and is not as hard to say as it looks. You just say RAM and then you say OTS (like lots without the l) and the you finish it off by saying WE. That's it." The crime Precious has to investigate is who is stealing food from her classmates at school? Fingers are pointed at one of her fellow pupils but Precious insists that's there's no proof and that you really mustn't accuse someone without hard facts. Showing the kindly ways, readers of the No.1 Ladies' Detective Agency series are familiar with, she befriends the suspect and the solution is revealed and the culprit caught (though the cover and title do rather give it away). The story, however, isn't a whodunnit but a morality tale, told by an avuncular narrator, with the hope of encouraging its young readers to behave considerately and thoughtfully. It is utterly charming and the illustrations are beautiful. A delightful book which is over all too soon. 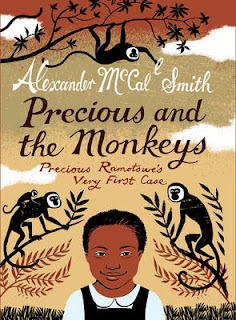 This will be published in the US as The Great Cake Mystery: Precious Ramotswe's Very First Case, on 3 April. Win 3 Richard Nottingham mysteries by Chris Nickson (UK only) closes 29 February. and Mark Bailey wants more standalones from Peter Robinson after reading Before the Poison. Forthcoming titles can be found by author or date or by category, here and new titles by Kate Ellis, Claire McGowan, Peter Robinson and Robert Wilson have been added to these pages this week. Is the cover-designer of the Young Adult mystery, Perception a fan of Spiral's Audrey Fleurot? The Fall is a gripping psychological thriller that forensically examines the lives of two hunters. One is a serial killer who stalks his victims at random in and around Belfast and the other is a talented female Detective Superintendent on secondment from the MET who is brought in to catch him. 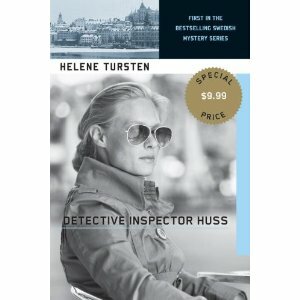 To coincide (sort of) with the release of the next Inspector Huss book by Helene Tursten in English: Night Rounds (the second in the series which is released in the UK next month), the first book has just been reissued. 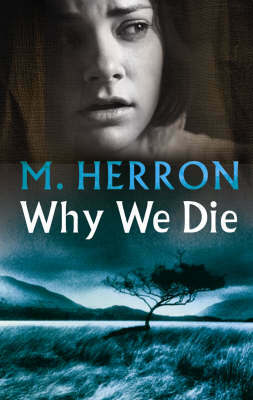 Simply titled Detective Inspector Huss, when Maxine reviewed the original publication she wrote of it: "this book is as near to perfection as you can get in this genre". Read her whole review here. I feel the cover has improved enormously! 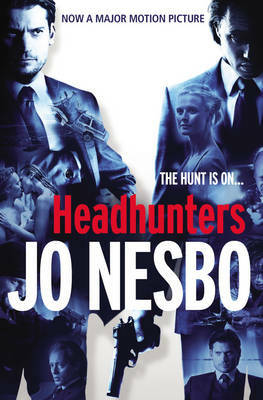 Jo Nesbo's standalone novel, Headhunters, translated by Don Bartlett has been made into a film which will be released in the UK on 6 April. Included below is the official UK trailer. The paperback release (featured left) has a film-tie in cover and is published on 29 March. A review of the book should soon be up on Euro Crime but here is Euro Crime reviewer Maxine's excellent review at Petrona. The Silence, based on Jan Costin Wagner's book Silence, was released on DVD yesterday in the UK. I am very intrigued to watch this to compare it to the book. The action has been switched to Germany from Finland and from the reviews the crime that opens the book is shown in a more explicit manner. Euro Crime reviews of the book are here (me) and here (Mark). Official blurb: 2 missing girls. Same place. Same time. 23 years apart. 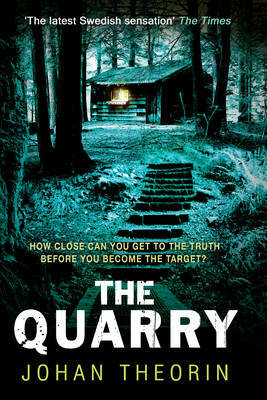 History repeats itself in this knife-edged thriller, which has been described as the natural successor to The Killing. 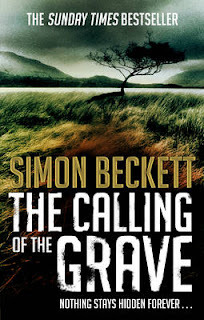 An ageing detective comes out of retirement in the hope of solving a missing girl case, which is believed to be connected to an unsolved mystery that happened 23 years ago. Over the long hot summer days, tensions start to reach breaking point as our troubled detective closes in on the deeply methodical serial killer. 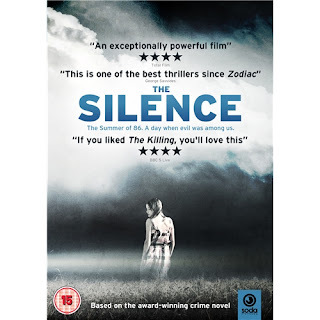 A striking debut, The Silence follows on from European crime thrillers such as The Girl With The Dragon Tattoo and Wallander as it delves into the psyche of detectives and criminals to deliver a chilling story of murder and betrayal. Mr Luparello, a renowned local engineer and leading political figure, is found dead in a car at a notorious prostitution spot on the outskirts of Vigata. The coroner rules that he died of a heart attack following an amorous encounter. Fending off pressure from prominent ecclesiastical figures who wish to keep the case under wraps and navigating the intricacies of local party politics, Montalbano goes about making sense of the available evidence, including the incongruous discovery of an expensive necklace found at the site of the murder. Win 3 Richard Nottingham mysteries by Chris Nickson (UK only). and Susan White reviews the paperback release of S J Watson's Before I Go To Sleep. Forthcoming titles can be found by author or date or by category, here and new titles by Colin Bateman, Gerald Jay, Pascal Mercier, Stuart Neville and Evonne Wareham have been added to these pages this week. 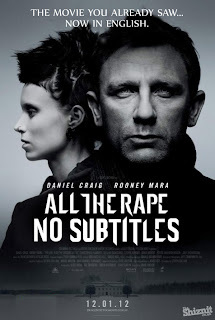 Two films of an Euro-Crime interest are released today in the UK. ID: A a Danish film and The Woman in the Fifth, set in Paris and starring Kristin Scott Thomas. From the producers of Melancholia and directed by Christian E. Christiansen, the Danish film ID:A will be screened in the London cinema Curzon Soho from 17 to 19 February. The film ID:A is about Aliena, who wakes up in a river in France with a bag with 2 million euros, a scar across her abdomen and no memory. Slowly traces begin to appear about the past and Aliena learns that her past life was more complicated than she first thought. The cast: Tuva Novotny, Carsten Bjørnlund and Flemming Enevold. You may know the latter two from the Danish drama The Killing 2, where they play Major Christian Søgaard and Colonel Torsten Jarnvig, respectively. The Woman in The Fifth: American writer Tom Ricks comes to Paris desperate to put his life together again and win back the love of his estranged wife and daughter. When things don't go according to plan, he ends up in a shady hotel in the suburbs, having to work as a night guard to make ends meet. Then Margit, a beautiful, mysterious stranger walks into his life and things start looking up. Their passionate and intense relationship triggers a string of inexplicable events... as if an obscure power was taking control of his life. Based on the novel by Douglas Kennedy. Harvill Secker has acquired UK and Commonwealth rights for two new Jack Lennon novels by the Belfast crime writer Stuart Neville, in a deal with Caspian Dennis of Abner Stein. 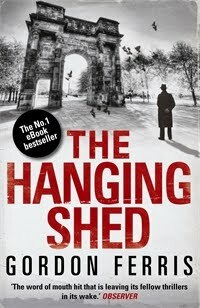 The two new novels are to be published January 2014 and January 2015 and will be a great asset to Harvill Secker’s prestigious crime list which features authors such as Jo Nesbo and Henning Mankell. Stuart Neville’s debut The Twelve was published to critical acclaim in 2009 and went on to win the LA Times Book Prize in its category. Collusion and Stolen Souls have followed closely in its tracks, each garnering increasingly widespread praise. In 2013 Harvill Secker will publish Ratlines, an exciting standalone thriller following the trail of Nazis in Ireland in the wake of World War II. This will be followed by two newly acquired novels featuring Detective Inspector Jack Lennon, the protagonist of Stolen Souls, which has just been published to great acclaim. In the first of these new novels, Jack is struggling to keep his own life together but is dragged into a case of two brothers who, as children, committed a horrific murder and are now back on the streets. The second will feature a highly dangerous character from Jack’s past. Many years ago, in preparation for a holiday in Australia I managed to get hold of Kerry Greenwood's Cocaine Blues (apa Murder by Misadventure) which is the first in a long running series featuring 1920s flapper and private detective Phryne Fisher set in Melbourne. I picked up a few more of the series whilst in Australia and subsequently bought a few more online, when the pound:Australian dollar ratio was more favourable! ThouAgh Orion have published some of the later books, I wish that a UK publisher such as Allison & Busby Robinson would take the whole series on - as they have with Carola Dunn's, also 1920s set, Daisy Dalrymple series. Both series incidentally have the most beautiful covers. A TV series has been made of the Phryne Fisher books, Miss Fisher's Murder Mysteries which begins in Australia on Friday, February 24, at 8.30pm on ABC1. We in the UK can only hope it gets picked up here. TV tie-in Kindle editions are available on UK Kindle with Cocaine Blues being a bargain £1.32 at the moment and other in the series are around a fiver. (I haven't been able to check for epub availability as the Kobo site was down). The opulent 13-part series, produced by Fiona Eagger and Deb Cox, is based on Kerry Greenwood's Phryne Fisher crime novels, set in and around Melbourne during the late 1920s. 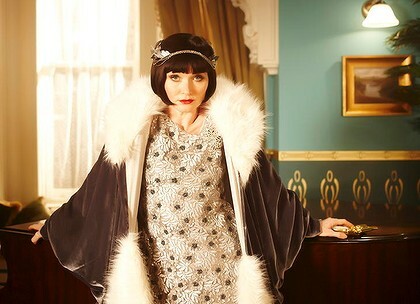 Davis read most of Greenwood's 18 Phryne adventures not long after she was approached to audition. She immediately clicked with a heroine who is more Mata Hari than Miss Marple. ...read more about the series, listen to a review and watch a clip from the show at The Age. 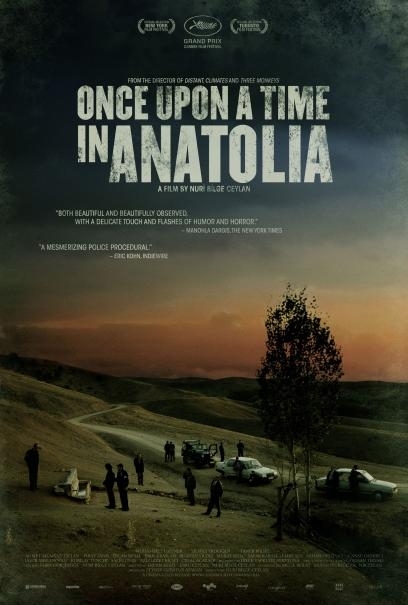 Once Upon A Time In Anatolia is a crime movie, but not as you know it, and as well as asking us to puzzle together fragments of a murder case, it also offers rich, and sometimes comic, ruminations on city, small-town and village attitudes, on cynical versus more feeling attitudes to life, on our ability to separate the personal and the professional and on the banalities that arises even in extreme, unusual situations. 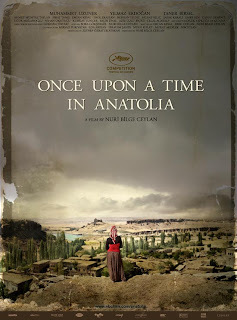 It might be about a murder, but it’s also about the passing of time (and, in a subtly different way, passing the time), and to stress both, Ceylan asks that we share nearly three hours with him and his film. We follow a group of 12 men in three vehicles – policemen, soldiers, two suspects, a doctor, a prosecutor and two men with shovels – as they trawl the countryside at night looking for a buried body, trying and failing several times before they make some progress. One minute they’re looking for freshly dug earth, the next they’re discussing the merits of cheese or the tell-tale signs of prostate cancer. With two prisoners in tow, they make a pit-stop at a village where we get a naturalistic portrait of everyday relations and where small, endearing differences emerge between the town folk of the investigation and their rural hosts. 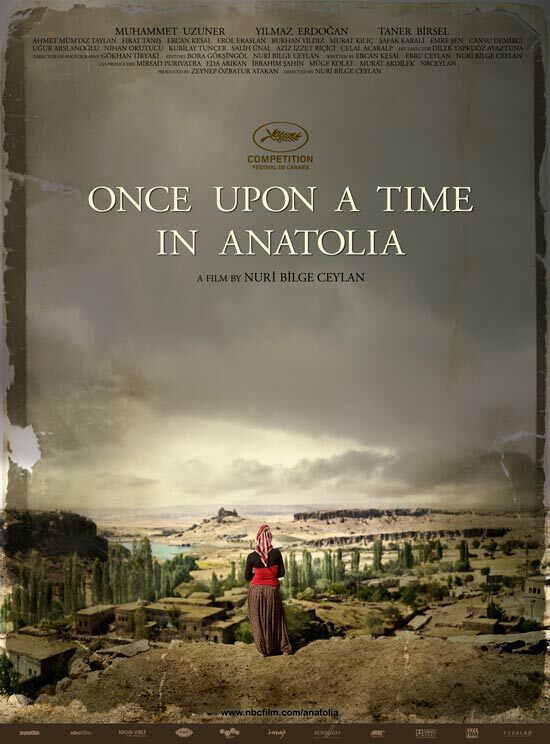 Back on the road, Ceylan moves around characters, and sometimes leaves them behind altogether for some staggering landscape shots. Night becomes dawn, and only when it’s morning do they return to town and the final chapter of the film unfolds in a police station and doctor’s surgery. As well as my print reading, I nearly always have an audiobook on the go. I have a longish commute to work and sometimes it's too busy/noisy or I'm too tired to read with my eyes. Plus I walk a lot and love to listen as I exercise. I often try authors that I might not get round to reading conventionally. I often stick to audiobooks for a series if the narrator is exceptional and I am in a dilemma regarding the latest Stella Rimington, Rip Tide, which is not narrated by Maggie Mash, unlike the previous five. What to do? Try the new narrator or switch to reading the book and "hear" Maggie Mash's narration as I read? The cheapest way is to join your local library. I'll use my local libraries as examples - I work for Birmingham Libraries (B) but live in Worcestershire (W) so I have two cards. The Society of Chief Librarians (SCL) said members of the public simply need to show their existing library card or proof of address to join or use a library they are visiting. The scheme applies to public libraries in England, Wales and Northern Ireland. Scotland is not part of the UK Society of Chief Librarians, although some Scottish authorities are considering joining the scheme. According to the society, customers will be able to borrow books from any library and, in some cases, use other services such as DVD rental and online resources. You can normally apply online for a library card (as well as at the library itself) but depending on the library service, you may have to either collect it or pop in to activate it. Birmingham posts the card to the address given by the online joiner. Having got your library card, you then have access to the libraries audiobook collection. To hire an audiobook, there's usually a fee (90p B, £1 W). If you want a specific title, then if it's available in that library service, then there will usually be a reservation fee (free B, 60p W). If the item can't be sourced locally then you have the option of an Inter Library Loan which is £3, plus the hire charge. As well as the physical audiobook collection, many libraries are supplying an e-audiobook option. This means you can download audiobooks for free from home. Birmingham has 700 titles available. Worcestershire doesn't offer this service yet. Do I have to live in Surrey to sign up for this service? Overdrive, the US based company who supplies our eBook and eAudio service, has requested that access is limited to Surrey residents only. This decision has been made as a result of UK and US publishers concerns surrounding rights and access issues. However, there are several other UK library authorities offering eBooks access, so if you live outside Surrey we suggest you check with your local council to see if they offer this service. If you cannot access a library, prefer a more permanent copy of the book or cannot get the books you want easily then audible.co.uk (or equivalent), is probably the next cheapest option. You buy the download, and packages start from £3.99 a month. I haven't used them myself and there may be alternative companies that I don't know about, equally good/bad. Lastly, audiobooks can be bought from retailers such as Amazon and often these are not too expensive - comparable with a hardback price eg Camilla Lackberg's The Hidden Child is rrp £19.99. Audiobooks can also be bought direct from the providers, including AudioGo and Whole Story Audiobooks usually as a box of cds, though AudioGo offer MP3 downloads as well. There are free audiobooks available, in my limited experience, these are usually read by non-professional narrators, of older books and the mp3 quality is not as good as it could be. If you've not tried an audiobook before then I urge you to do so. My favourite combinations include Christopher Fowler's Bryant and May series narrated by Tim Goodman and Alexander McCall Smith's No.1 Ladies Detective Agency series by Adjoa Andoh. When the naked dead body of a young woman is found in a villa outside Vigata, Montalbano discovers that she had recently bought the villa and was in the process of restoring it using her wealthy husband's money. 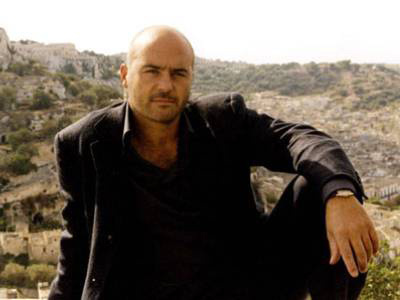 When the case is taken from Montalbano and given to rival inspector Panzacchi from nearby Montelusa, Panzacchi draws some easy conclusions and the investigation risks going badly off course. Will a proud Montalbano stick his neck out to regain control of the case or will he allow his incompetent colleagues to pin the murder on the wrong suspect? The Potter's Field, the thirteenth in Andrea Camilleri's Inspector Montalbano series will be published in the UK in April (it is already out in the US). 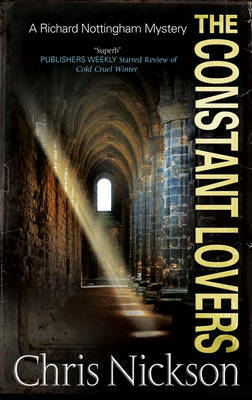 The previous twelve novels are listed in order and all reviewed on Euro Crime. As is vaguely customary, a 6 review week is followed by a 9 review week...making roughly a review a day. and Amanda Gillies reviews Craig Russell's third book in the Lennox series, The Deep Dark Sleep, set in 1950s Glasgow. Forthcoming titles can be found by author or date or by category, here and new titles by Jane Adams, John Connolly, Sebastian Fitzek, Tony/Anthony Hays, Anne Holt, Fabrice Humbert, Susan Elia MacNeal, Danielle Ramsay and Simon Urban have been added to these pages this week. 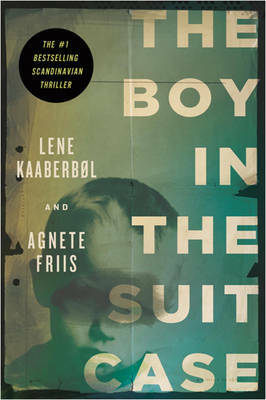 THE BOY IN THE SUITCASE is the first in the Nina Borg series and is set in a less than salubrious Copenhagen (one familiar to viewers of The Killing). Nina, a nurse working in a Danish Red Cross Centre, is phoned by fellow nurse and slightly estranged friend Karin, who asks Nina for a favour and that they must meet immediately. A very panicked Karin gives Nina a key to a locker at the train station but Nina could not have expected to collect a suitcase containing a drugged young boy... Trying to avoid a sinister man she has spotted at the station, her efforts to track down Karin are at first in vain and when she does find her, Karin is not in a position to help. Not trusting the police to look after the boy and wanting to get to the bottom of things – Nina and the boy's uncomfortable night on the streets begins. There are several points-of-view in this book but the other main narrative is told from the point of view of Sigita, a young mother in Lithuania whose child has vanished. A non-drinker, she had been found drunk at the bottom of the stairs, her son absent. She puts the pieces together slowly and the reader is given her history and how she has become a single mother with a well furnished apartment. All the narratives eventually collide in a dramatic show-down in Denmark. I quite enjoyed THE BOY IN THE SUITCASE, in particular the segments from Sigita as she persists with the police and finally gets their attention. This part of the story is more like a detective story whereas Nina's part is more that of a thriller as she avoids the police and her own family and tracks down someone to help with translation (from a rather unorthodox source). Sigita's story also gives the reader a peek into Lithuanian life and culture and Nina's touches on problems in Danish society. The problem I had with THE BOY IN THE SUITCASE is Nina's behaviour in that she doesn't get help from the normal channels, and leaves her family in the dark and I didn't find her reasoning believable. She has a track-record of running away from her family, seemingly to them at the drop of a hat, to war-zones to offer her professional services; very commendable but it doesn't make her very likeable. However I will give her the benefit of the doubt and I look forward to the next book. I had a similar problem with Anne Holt's Johanne Vik at first and now that's one of my favourite series. 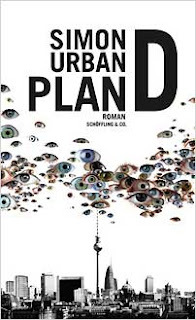 Plan D is a brilliant thriller in the vein of Robert Harris's Fatherland and John le Carre's The Spy Who Came in from the Cold, which imagines a world in which the Berlin Wall never fell. While modern day West Berlin enjoys all the trappings of capitalism, on the crowded, polluted, Eastern side of the city, the GDR is facing bankruptcy. The ailing government's only hope lies in economic talks with the West, but then an ally of the GDR's chairman is found murdered – and all the clues point to the Stasi being involved. East German detective Martin Wegener, still haunted by the recent end of his relationship and the mysterious disappearances of a trusted friend and colleague, is forced to work with a counterpart in the West German police force to solve the murder. New Books in German describes it thus: A modern-day Raymond Chandler, Urban’s remarkable genre-busting detective novel is set in Berlin in October 2011 – but with a difference. In Plan D, the East German republic still exists (full review here). 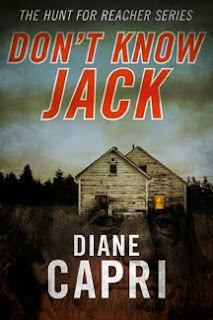 A few posts ago I mentioned a new series by Diane Capri which pays homage to a character from Lee Child's very successful thriller series, in her Hunt for Jack Reacher series. I recently listened to an audio book which payed homage to the plot of the classic mystery by Josephine Tey: Brat Farrar. 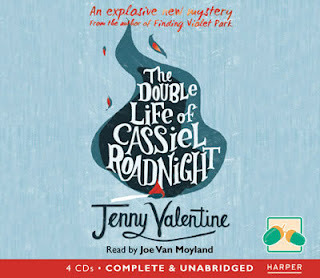 Jenny Valentine's The Double Life of Cassiel Roadnight is a teenage/young adult novel which is set in Hay-on-Wye. 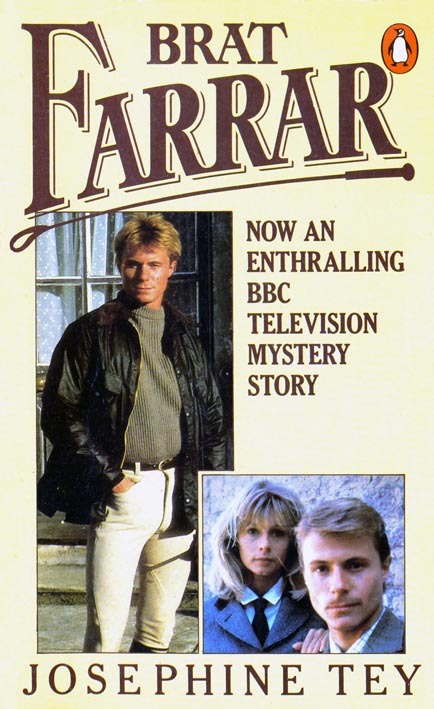 I haven't read Brat Farrar, though I have a copy - not this one with the stunning Mark Greenstreet on the cover - but I did watch the BBC TV series when it was shown many many moons ago and loved it. It's not available to buy but you can watch a patchy version on You Tube. The announcements have been coming thick and fast over the last few days regarding new to the UK dramas from mainland Europe. Borgen has finished but is due to return at the end of the year and a third series is in production. Borgen's immediate replacement on BBC4 is Montalbano, with the first of ten episodes, The Snack Thief, beginning next Saturday. 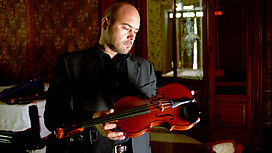 The second episode is the previously shown Montalbano's Croquettes. According to IMDB there are 22 episodes (up to 2011). It’s set in Copenhagen, co-stars Lars Mikkelsen, who played mayoral candidate Troels Hartmann in The Killing, and features another dedicated female detective, Inspector Katrina Ries Jensen, played by Laura Bach. But where The Killing follows a single murder investigation throughout a series, Those Who Kill (or Den som Draeber as they say in Denmark) focuses on the psychology of multiple serial killers, and has been compared to shows such as Criminal Minds and Wire in the Blood. 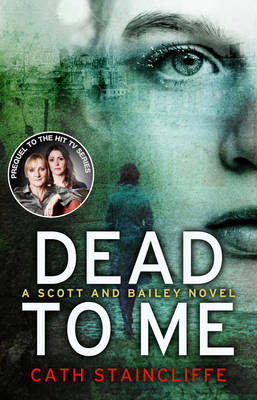 Based on the books by bestselling crime author Elsebeth Egholm*, the first series of Those Who Kill drew a record audience share when it aired on Danish channel TV2. 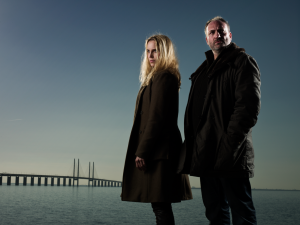 Danish and Swedish cops Martin Rohde (Kim Bodnia) and Saga Norén (Sofia Helin) must work together after a grizzly discovery on the Oresund Bridge, which links the two countries. What's at first thought to be a single body turns out to consist of two different victims, one a Swedish politician, the other a Danish prostitute. 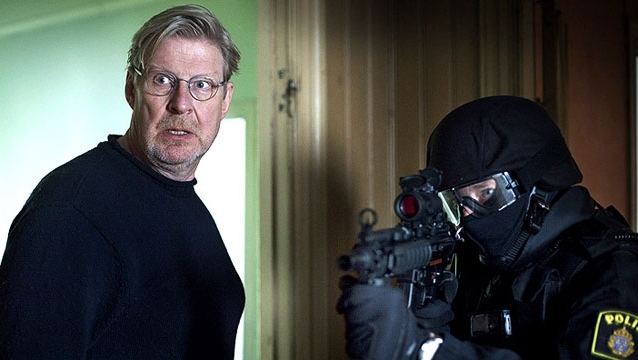 Rolf Lassgård – known to many as the original, Swedish Wallander – stars as another troubled detective, Sebastian Bergman, politically incorrect, abrasive and still battling grief over the loss of both his wife and daughter in the Thailand tsunami. Two 90 minute dramas focus on the murder of a 15-year-old boy, and a copycat serial perpetrator who appears to be basing his crimes on those of a killer Bergman himself put behind bars." And today, it's been announced in the Guardian that the Norwegian series, Lilyhammer is on its way to BBC4. Lilyhammer, a Norwegian comic drama starring The Sopranos' Steven Van Zandt, is the latest Scandinavian import to be bought by BBC4, currently on a high after critical acclaim and healthy audiences for a string of Danish and Swedish series. Van Zandt, who played Silvio Dante in the US drama, stars as a New York mobster who enters the witness protection programme and starts up a new life in Lillehammer, the sleepy Norwegian town he fell in love with while watching the 1994 Olympic Games. 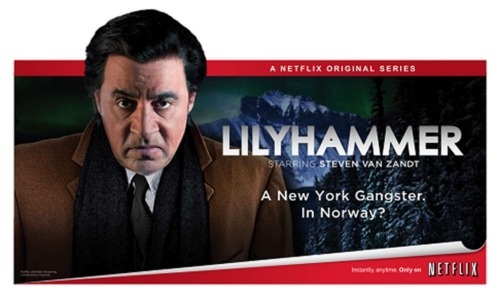 "Lilyhammer mixes sharp wit and American big city ways with the beauty of the Norwegian mountains and folksy nature of a small town – a perfect combination for a razor-sharp drama about cultural mores," said Richard Klein, controller of BBC4. 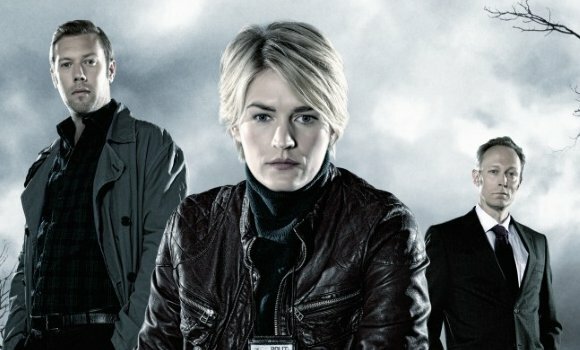 And hopefully The Killing 3 will be on our screens at the end of the year. 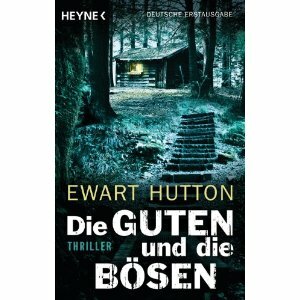 When I was checking the details yesterday for Ewart Hutton's Good People, a familiar cover popped up on this German edition. Good People is set in Wales, The Quarry on the island of Oland, Sweden. and Susan White reviews the kindle best-seller, Catch Your Death by Louise Voss and Mark Edwards. Forthcoming titles can be found by author or date or by category, here and new titles by Jefferson Bass, Tony Black, Kevin Brooks, Ed Chatterton, Arne Dahl, Jurgen Fauth, Jasper Fforde, Andrea Gillies, Annie Hauxwell, Hazel Holt, David Jackson, Dan James, Alanna Knight, Jeffrey Siger and June Thomson have been added to these pages this week. 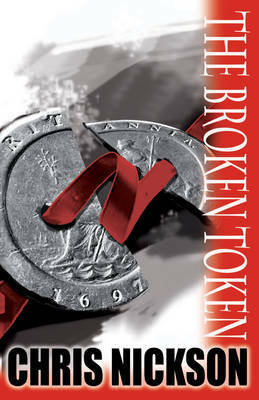 Thanks to the generosity of Chris Nickson, Euro Crime has a set of the first three books in the Richard Nottingham series: The Broken Token (Paperback), Cold Cruel Winter (Trade paperback) and The Constant Lovers (Hardback) to giveaway. This competition is open to residents of the UK only and will close on 29 February 2012. I'm sorry to say this a bit after the event but I've only just discovered that Finnish crime writer Matti Joensuu died in December 2011. Matti Yrjänä Joensuu (October 31st 1948 - December 4th 2011), who died suddenly at his home in Valkeakoski on Sunday, was one of Finland’s most respected and widely-read writers of crime fiction. In addition to his literary career, Joensuu worked as a police officer and a detective in Helsinki. He retired from the Helsinki Police Department’s Criminal Investigation Division in 2006, despite having been a successful novelist for some twenty years before this. The best known of Joensuu’s works are his 12 Harjunpää novels, most of which were published between 1976 and 1993. They depict the life and work of Detective Sergeant Timo Juhani Harjunpää of the Helsinki Police Department’s CID unit. Joensuu’s last novel was Harjunpää ja rautahuone (”Harjunpää and the Iron Room”), published in 2010, after a break of seven years. A new novel was in the works at the time of his death. Joensuu was awarded the State’s Literature Prize in 1982, and the Vuoden johtolanka (”The Clue of the Year”) prize for the best Finnish crime novel in 1985, 1994, and 2004, granted by the Finnish Whodunnit Society, the Finnish crime fiction society. In 1987, Joensuu received the Martin Beck Award. American author, M Diane Vogt has released some of her early books as e-books (under the name Diane Capri) along with the e-book release of the first in "The Hunt for Reacher" series. Don't Know Jack is an e-book exclusive and can be bought in the UK as well as the US. Diane explains how this new series came about on her blog. ...the first novel, A Dark Place to Die, [is] to be published in summer 2012. It will feature detective inspector Frank Keane and be set in Liverpool, with the next novel to follow in summer 2013. Random House Australia will publish simultaneously. 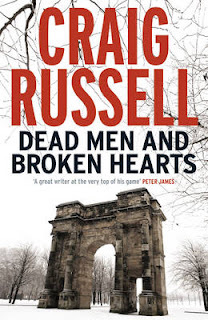 Gordon Ferris's The Hanging Shed out now and Craig Russell's next Lennox book, Dead Men and Broken Hearts will be out in June. Both books are set around 50 years ago, one in London, one in Glasgow.